The Evergreen Aviation & Space Museum is an aviation museum which displays a number of military and civilian aircraft and spacecraft, most notably, the Hughes H-4 Hercules, popularly known as the Spruce Goose. The museum is located in McMinnville, Oregon, across the street from the former headquarters of Evergreen International Aviation. Oregon Route 18 separates the museum from the company operations and McMinnville Municipal Airport (KMMV). An IMAX theater opened in 2007, and a second exhibit hall focusing on the Titan II ICBM and space technology opened in 2008. A B-25 Mitchell bomber on the main floor of the museum. First envisioned by Capt. Michael King Smith, son of Evergreen International Aviation founder Delford Smith, the Evergreen Museum opened in 1991 with a small collection of vintage aircraft in a hangar at company headquarters. In March 1990, The Walt Disney Company announced that it would close the Long Beach, California, exhibit of the Spruce Goose. The Aeroclub of Southern California began looking for a new home for the historic aircraft. In 1992, the Evergreen Museum won the bid with a proposal to build a museum around the aircraft and feature it as a central exhibit. The disassembly of the aircraft began in August 1992. The parts were sent by ship up the Pacific Ocean, Columbia River, and Willamette River to Dayton where it was transferred to trucks and driven to Evergreen International Aviation. It arrived in February 1993. For the next eight years, the plane went through detailed restoration. Volunteers removed all the paint, replaced worn parts, and repainted the entire aircraft, among many other tasks. In September 2000, the main aircraft assemblies were complete. The fuselage, wings, and tail were transported across the highway and into the new museum building, still under construction. Over the next year, crews assembled the wings and tail to the fuselage. These were completed in time for the museum's opening on June 6, 2001. The control surfaces (flaps, ailerons, rudder, and elevators) were assembled later. The last piece was put into place on December 7, 2001. The name of the museum has evolved. Initially known as the Evergreen Museum, it changed in 1994 to the Evergreen AirVenture Museum. In 1997, the facility was renamed the Captain Michael King Smith Evergreen Aviation Educational Center in memory of Captain Smith, who died in an automobile accident in March 1995. In September 2006, work began on the space museum building, a twin to the aviation museum. By this time, the museum had acquired several space-related items, and the original building was running out of room. The new building was completed in May 2008 and had its grand opening on June 6, 2008, exactly seven years after the aviation museum opened. In 2009, the museum became an affiliate in the Smithsonian Affiliations program. Attempts to obtain a retired Space Shuttle were unsuccessful. In early 2016, Michael King Smith Foundation officials announced they were filing for bankruptcy. According to reports, the campus was acquired by The Falls Event Center, a company owned by Steve Down, for $10.9 million in July 2016. Currently, two exhibit centers are open to the public: The original structure is the aviation center with the Spruce Goose as centerpiece. Other aircraft, spanning the entire history of aviation, are arranged in the building, some parked under the wings of the Spruce Goose or suspended from the ceiling. The space flight center is in a building the same size as the aviation center. Because there are fewer space-related holdings, the center includes a large number of panels and other displays that chronicle the history of space flight. Visitors can operate flight simulators for landing the space shuttle as well as for docking a Gemini capsule and performing a moon landing of the Lunar Excursion Module. The building also exhibits overflow holdings from the aviation center, usually the higher-performance jet aircraft. Two of the main attractions of the space flight center are a Titan II missile and a SR-71 Blackbird. The Titan II sits upright in a specially constructed display extending two stories below the floor, silo fashion. The exhibit includes a re-created missile control room furnished with furniture and equipment donated from Vandenberg Air Force Base. The museum's many volunteers include former aviators who flew the planes on display. Their detailed descriptions and real-life commentary help bring the planes and their days of flight back to life. The museum also offers a number of film presentations on the development and use of the aircraft, along with hands-on displays demonstrating various principles of avionics. An F-15 Eagle is displayed on a pedestal in front of the EIA headquarters across the highway from the museum. A bronze statue stands by on the pathway between the aviation and space museum. Both are marked in Smith's memory. Kids climb on a Soviet T-55 behind the main building. A smaller building has a seven-story IMAX theater. A radio control air flight field is located behind the aviation center, near a group of Soviet-built armored vehicles, including two T-34/85s, a T-55 and two armored personnel carriers. Wings & Waves Waterpark opened June 6, 2011. The 71,350-square-foot (6,629 m2) waterpark, Oregon's largest, features 10 slides and a 91,703-gallon wave pool with the intent of tying into the educational focus of the Evergreen Museum Campus with its "Life Needs Water" interactive display in the H2O Children's Science Center. The four big slides begin inside a retired Boeing 747-100 that sits atop the roof, 62 feet (19 m) above the splash landing. The Waterpark was bought by The Falls Event Center in 2017, and is now run as a separate organization. The Museum sued the waterpark for failing to make monthly payments in April 2018. Unfortunately, this plane is no longer on display at this location. B-17G No. 44-83785, noted for being used in the final scene of the James Bond film "Thunderball" in 1965, was purchased by the Collings Foundation in 2015. This is the famous Spruce Goose, a flying boat with the largest wingspan of any aircraft ever built. Donated to the museum in January 2013, Rockwell Collins’ 1964 Sabreliner Model 50 (tail number N50CR), acquired by the company in 1976 was utilized for many significant flight-test projects that helped shape modern commercial and military avionics. The aircraft was flown approximately 8,000 hours with more than 5,000 landings. This Blackbird was one of three that were reactivated and used by NASA and the USAF in 1995. Its last flight was February 1, 1996. This particular missile is the last of 14 Titan IIs that were converted for science, weather and military satellite launches. This was the only one out of the 14 not to be launched. It also holds the distinction of being the last Titan-II ICBM fabricated. Serial Number 66-4319 or B-108, the final of 108 Titan-II ICBMs produced. The exhibit includes the Titan II launch control center equipment used in California for launching the Titan 23G. One of only two remaining Titan IV launch vehicles in existence is on outdoor display at the museum. The exhibit includes the core stages for Titan IVB #K-40 and some parts for the solid rocket motors. This is one of very few Bf 109s that is capable of flying in its current condition. Also on display are many different aircraft engines. The exhibit also includes many helicopters, reflecting Evergreen Aviation's original helicopter fleet. ^ Saarinen, Yvette (1992-07-11). "Evergreen Wins Bid for Flying Boat". Yamhill Valley News-Register. ^ Pointer, Starla (2000-09-14). "The Journey to Oregon". Yamhill Valley News-Register. ^ Dana Tims (2006-11-01). "Honoring the historic Spruce Goose flight at Oregon museum". The Seattle Times. ^ Tertin, Ben (2008-06-07). "Museum Launch a Soaring Success". Yamhill Valley News-Register. ^ Philip Jaeger (2009). "New Member Program". Blog. Evergreen Aviation and Space Museum. Retrieved 2011-07-15. ^ Siemers, Erik (2011-04-12). "Evergreen Loses Bid For Space Shuttle". Portland Business Journal. ^ Staub, Colin (September 8, 2016). "Space museum, waterpark sold for $10.9 million". Pamplin Media Group. ^ Hammill, Luke (July 8, 2016). "Buyer Emerges For Evergreen Aviation & Space Museum, once threatened by foreclosure". The Oregonian. ^ Traver, Sheldon (2008-05-31). "Evergreen Aviation Museum welcomes Titan II exhibit". WillametteLive.com. Retrieved 2009-09-20. ^ "Yamhill Valley Visitors Association: Evergreen Aviation and Space Museum". 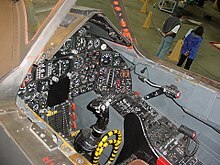 ^ "Evergreen Aviation & Space Museum: Teacher Resources". ^ "Evergreen Aviation & Space Museum: Captain Michael King Smith". ^ Pointer, Starla (2011-06-04). "Counting Down To Splashdown". Yamhill Valley News-Register. ^ News-Register Staff (2011-08-13). "Water Park Tops 50,000". Yamhill Valley News-Register. ^ Rogoway, Mike (10 April 2018). "Evergreen Aviation museum sues adjacent waterpark". Oregon Live. Retrieved 11 July 2018. ^ "Successful Completion of Underground Survey Services for Cartagena Refinery Expansion Project". Industrial-newsroom.com. 2010-12-30. Retrieved 2014-06-26. ^ Bennett, Christopher W. (2006-11-19). "Blackbird Timeline of Events 1990's & 00's". Retrieved 2008-07-20. Careless, James. "How the 'Spruce Goose' Became Part of a Water Park". IAAPA. Retrieved 11 July 2018. Wikimedia Commons has media related to Evergreen Aviation Museum. This page was last edited on 31 December 2018, at 23:21 (UTC).